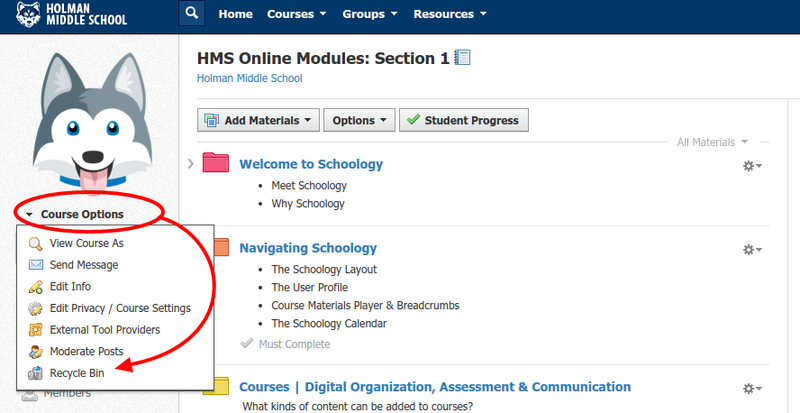 Did you accidentally delete a file in Schoology? Never fear! Just restore it from the recycling bin by clicking on Course Options --> Recycling Bin.